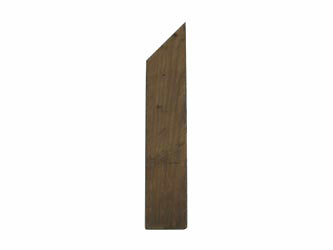 Used to attach timber gravel boards to timber posts. Nailed or screwed to the post, it allows the timber gravel board to be fixed into the cleat. It has a chamfered top to allow rain water to run away from the gravel board to prolong its lifespan.